The days are longer and our moods seem brighter. For many of us, that’s reason enough to gather our families and do something fun. Here are some low-cost, healthy activities to try this summer. Pack a healthy lunch for the family, some cold water, and take a stroll to your local park or to your backyard. Lay a blanket out and enjoy. Bring a Frisbee or ball along for a little extra activity. Maine is packed with hidden treasures! 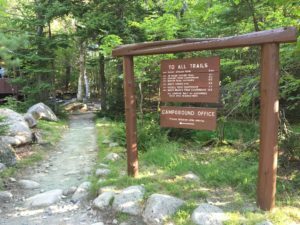 Do a quick “Google” search or use http://www.mainetrailfinder.com to find trails for walks or hikes near you, or even take a stroll downtown. Maine is scattered with adorable downtowns with local business and street art. Take the family for a walk and see what hidden treasures you can find. There are many free options, you just have to explore. Break into family teams or work individually. Make a smoothie using what’s around the house. The one rule: it must include at least 1 fruit and 1 vegetable. Have everyone sample and vote on their favorite when time is up. Just because you go does not mean you have to buy anything. Bring the family to the market to meet the farmers, listen to live music, have a picnic, check out what’s being sold, and maybe even taste-test a few new things. Look for events happening in your area and plan to go as a family. 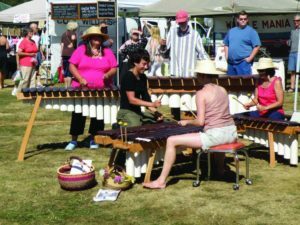 Summer is the prime time for many music, food, and art festivals. The Maine Public Community Calendar (http://mainepublic.org/community-calendar) is a good resource for finding local events. Family whiffle ball tournament? Group up with some other families and make a day of it. Grab a basketball and use an outdoor court at a local school or park. Need to cool down? Pick up some water balloons and make it a game of water-balloon tag. Just be sure to pick up all the plastic balloons when you’re done (you can make that a game, too… who can get the most?). Get the family’s input and plan a meal for dinner. Go grocery shopping and cook the meal as a family. At the dinner table, talk about what you like and what you would change in the recipe next time.